Before tonight draw, Mega Millions already climbs on $640 million which has crossed yesterday’s world record of $540 million jackpot. Massachusetts Lottery confirmed about this world record of Mega Million. 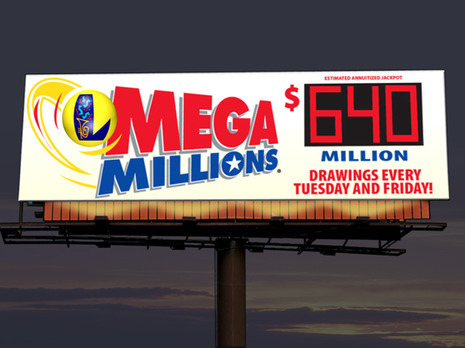 Within 24 hours, Mega jackpot estimated over $100 million! Now only couple of hours left to know who will have the Mega Million Winning Jackpot Number. The final draw of this mega tickets coupon will held tonight on 11.24 PM. Don’t miss the chance to see the winner of this mega event. And if you have any coupon, then you might be the Mega Millions Winner! According to Massachusetts ticket selling graph, if a winner not drawn tonight’s final lottery jackpot, then Mega Millions might reach near than $975 million. So today’s final event will be so interesting. And if so, it will be surprising as well as exciting event also. The Mega Millions Jackpot Number will be selected throughout 42 states of USA where the jackpot odds will be elected in 1:176 million ratios. To know the Mega Million Winning Jackpot Number, be with us.